This is the world reknowned Kaba - Ilco Simplex 5000 Mechanical Pushbutton Doorlock, that can be installed on almost any door. 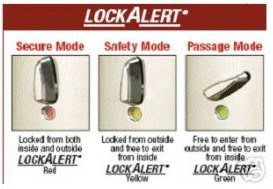 I recently installed one of these locks in a high-trafficked door that requires keyless access. This lock is a Grade 1 lockset that features a really easy entry method, options for passage function (to leave it unlocked), key override for selected keyholders. It is relatively simple to install in place of most existing door locks and the installation can be completed in about 1 hour. We recommend our Bilock Extreme Security cylinders be used in conjuction, to offer bump proof, pick proof and copy proof keys, preventing unauthorised duplication of keys. Schuyler Towne is a hobbiest with an unusual hobby. 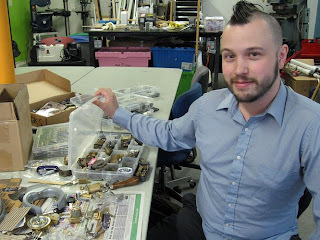 He is a member of Locksport International, a non-profit club of people whose interests include solving the mechanical puzzles of lock and key mechanisms. Schuyler is not an unusual person, but a ethical and modern thinker, whose goal it is, to identify weaknesses in mechanical key (puzzles) locking systems. This is why various nouveau manufacturers are seeking out the services of Schuyler and other locksport enthusiasts, to test their products before they come to market. Police departments and other law enforcement offices across the United States, had hoped that Locksport International was a passing fad. According to Jim Pasco, National Executive Director of The National Fraternal Order of Police, lockpicking and other manipulation techniques are freely available to anyone and everyone through instructional video's on Youtube and other online mediums. This can represent a serious concern for home owners and tenants, offices and corporations, concerned with everyday people's abilities to covertly bypass the security of their properties. Schuyler and his fellow locksport enthusiasts, maintain strict adherence to their cardinal principle, "Never pick a lock you don't own, and never pick a lock that's in regular use," but the same cannot be said for other on-lookers. Bilock products represent a thorn to many lock pickers and locksport enthusiasts because the product is so difficult to pick or bypass. Bilock cylinders are tailor made to retro-fit many existing hardware brands, so even if you have a Schlage, Baldwin, Arrow, Corbin-Russwin, Yale, Assa, Abloy, Medeco, Mul-t-lock or Lockwood product (and many others), you can convert them all to one of the industry's few 100% bump proof and virtually pick proof and copy-resistant key and locking products, without the expense of replacing hardware. Combined with the almost 8000 color key head combinations, you can easily identify your keys, improve use by arthritically challenged or even sight impaired users. An article appeared today on National Public Radio. We are pleased to announce an upcoming product we will soon make available. The Biometric Ignition System is a DIY installation, although we do recommend a professional auto-electrician complete the install. We do believe that the future of car security products will be heading this way. 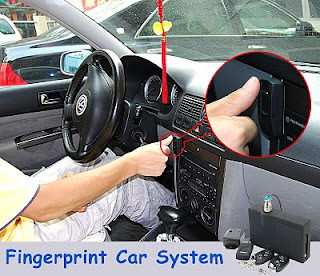 This complete systems offers fingerprint recognition/access to vehicle systems, GSM communications port and standard car alarm style audio alerts. 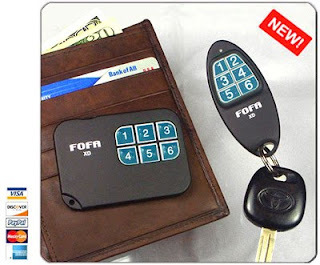 This powerful device combines a primary and secondary security system that allows only authorised fingerprints (Primary) to deactivate the guard, in turn allowing an authorised key holder to operate the ignition. The benefit here is that even if your keys are stolen, the perpetrator can still not steal your car because their fingerprint will not be enrolled. The system also uses a shock sensor to indicate attempted unlawful entry or to alert when objects hit the vehicle. Do you like to know when those pesky neighborhood kids kick their ball and it hits your car? Now you can be alerted with a text message to your cell phone. The unit houses a GSM SIM card that can connect to the carrier of your choice. This enables 2-way communications with the security system on your car. Has your car been stolen? Use your cell phone to switch off the fuel system, effectively making the thief run out of gas. Taken your car to the mechanic? Temporarily disable the fingerprint controller, remotely until the mechanic's work is completed. We spoke about this product about 2 years ago and have installed and sold a number of them. 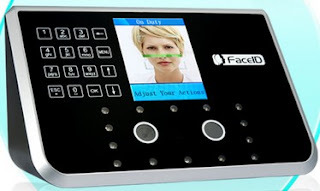 The only pitfall we have found with fingerprint products, is the age related issues. Specifically, it seems that elder people (>60) have difficulty operating many fingerprint activated readers/devices. This is due to fingerprints wearing as we age. What we need to do in this case is lower the sensitivity of the reader. We can achieve this simply, but the possibility of unauthorised prints being recognized is only marginally increased. We believe that the product is by far, the best of it's kind and continue to offer them. The Russell & Erwin Manufacturing Company originated in 1839 when H.E. Russell, Cornelius B. Erwin, and Frederick T. Stanley formed a partnership to produce locks and builders' hardware, under the name of Stanley, Russell & Company. When Mr. Stanley withdrew from the partnership in 1840, Smith Matteson and John H. Bowen were added, changing the name of the company to Matteson, Russell & Company. In 1846, with the death of Mr. Matteson and the expiration of the partnership terms, the company's name changed to Russell & Erwin. In 1851 the partnership was reorganized as a joint stock company and was from that time known as Russell & Erwin Manufacturing Company, until its merger with P.& F. Corbin in 1902. Cornelius Erwin served as president of the company from 1851 until his death in 1885. The company is best known as the pioneer of the wrought steel lock industry. P. & F. Corbin originated in 1849 when brothers Philip and Frank Corbin, and Edward Doen established the firm of Doen, Corbin & Co., to manufacture ox balls. The company's name changed to P. & F. Corbin in 1851. In the last half of the 19th century they broadened their products to include coffin trimmings, knobs, and stove handles. In 1868 they began specializing in the manufacture of builder's hardware and locks. 108 years old and still going strong, Corbin Russwin products are an American institution. Owned now by the Assa-Abloy group of companies, they continue to innovate. We are negotiating with a very talented USA based manufacturer of an exciting and useful new product aimed at cellphone users, to enable users existing cellphones to be used as their entry key. This technology is very close to official product release and will enable either free entry or PIN code entry to door strikes, magnetic locks, garage doors and almost any other device that uses power to activate a switch. This amazing product is speculated to sell for less than $200.00, is made in the USA (mid-west), has a range of up to 30' (or less possibly due to obstructions, like solid walls etc). We are also talking to another manufacturer (overseas) of a RFID/Bluetooth embedded antenna used in a door lock to enable virtually unlimited access control. I would love to provide a link to the companies involved, but I have been sworn to secrecy. 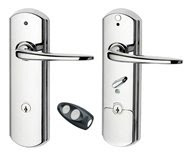 Our new product, the Cowdroy P697 Pocket Door Lock With Key, arrived on Wednesday December 23, 2009. This sensational product is specifically designed to fit in place of other brands of pocket door locks and allows you to secure that door from both sides. It is easy to install, occupies a small footprint and comes with at least 2 keys. We have a total of 100 units, 50 in brass and 50 in silver. All locks are individually keyed. 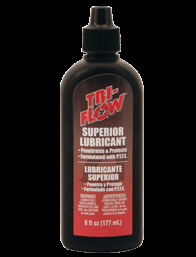 **NOTE** This product is designed for doors up to 42mm (1-11/16") thick. First in - best dressed. We have been inundated with inquiries lately for this excellent product and anticipate selling out quickly. We request email contact with quantity requested and your name. In the coming months we hope to bring you more information on products from the above series of manufacturers. While we prefer not to stock quantities of these brands, we sell virtually all brands of locks, but custom order to our clients desires. Turn around can average 3-5 days. Of course, you can also purchase many of the above product lines elsewhere, but rarely at an equally competitive price. We also recommend Weslock and Weiser Products for equally competitive prices and hopefully will be able to bring more information about their various options, in the next few years. Here is another sensational product from Serrature Meroni. This amazing product is designed with security in mind. The body, common to all applications, contain 4 steel drill-proof spheres that foil any attempt at forcing. UFO provides excellent protection, and can be used in conjunction with an existing lock system. It can also be used as a standalone lock, for example on gates or truck loading doors. The applicability of UFO is limited only by your imagination! Not many colleagues in the locksmith industry here in the USA will be familiar with Serrature Meroni products. I have been exposed to the product line in Australia, many years ago and in Europe as well. The line is incredibly advanced compared to similar products in it's genre. Meroni has finally made an appearance in the USA, courtesy of the 33rd Annual Conference & Exposition of the Door & Hardware Institute, one of the most prestigious American Door Institutions, recently held in Boston, Ma. The market in the USA seems to be forever captivated by the simple key-in-knob entrance set. The entry of Serrature Meroni will only help to increase the security and quality of options that provide aesthetic value and modern appeal. The products use an advanced system, whereby the latch mechanism is activated by a push button on the top of the handle. There is nothing to turn, making this excellent for arthritis sufferers or other physically challenged persons. The knobset is always fixed, which eliminates the "wrenching" effect that many other similar genre products suffer from. They comply with ADA and fire and building codes automatically, there is no need to have a lever function. They can be keyed to many standard keyways found in the United States. Lockwood Nexion in the field. Here is a field picture of a recent installation of the Lockwood Nexion door lock. The MLAA has just announced the appointment of their new CEO. Tony Duggan has been appointed CEO to take over mid-January from retiring CEO Alan Jones. Last year we talked about a new product soon to be released, enabling the use of bluetooth equipped mobile devices to operate your garage entry door. Apparently, the company producing these wondrous contraptions, have extended their release date, to enable perfection. It is pointless to release a product that might contain bugs. We are fortunate that these guys have taken it upon themselves to correct their bugs prior to release. I spoke with their sales department today and was informed that they will be releasing the updated and improved version at CES2010, in January and their tentative market release is due shortly thereafter. Our previous article has generated a significant amount of traffic and interest. Below, you can see a video of the unit in operation. After a number of years arguing with myself about email marketing and the pro's and con's, I decided that the time has arrived for me to modify my thinking and join the email marketing brigade. Numerous customers have contacted me, requesting updates and product release notifications and until now, I have been reluctant to pursue email marketing due to the issues (primarily) of unsolicited email. I always have been an opponent of email marketing, because of the abuse of the email system when it comes to (that ugly word). This is a new direction for me and as I explore these new waters, I hope you (my readers) will stick with me. I decided to use Constant Contact, because they made the system sound painless and me being a novice in the computer systems arena, I wanted a simple easy to use general user interface. If email marketing is a focus for you, try them, you might be pleasantly surprised. Oh! (before I forget) Sign Up to receive updates, tips and tricks, that might help you to feel more secure. There are many and varied products available today, designed to help you locate your misplaced keys (and other items). I purchased this one for myself and some customers, for it's simplicity of design, it's small, appropriate appearance and it's super competitive price. I have had it, about a year now and it has certainly proven useful to me. The battery life is excellent and the range seems appropriate. At home, my cable TV remote, recently decided to hide at the bottom of my sofa, without telling me (of course). But thanks to my FOFA and the easily attached slimline version, it was soon whistling it's location to me. I think this is one excellent holiday season gift. I would love to sell them, but why when they are so inexpensive direct from the manufacturer? The Slim Line lockable bolt pictured here, is another of their latest products that expands their product line and provides another product for slimline extrusions on doors or windows. Often one has difficulty locating suitable products designed to secure narrow frames. ADI Security Products are a well known Australian manufacturer of unique and high quality security products and accessories designed for the Australian market. But their products are also sought after in many other countries as well, because their forward thinking and excellence in quality and design are virtually unsurpassed anywhere. Their latest product is this simple yet functional product tailored to suit the tradesperson or camper market. Locking up the tool tubes found on electrician, plumber and other technician vehicles has been awkward until now. The ADI Cap Lock is a simple yet effective and inexpensive method to secure those tools that are too long to carry inside many vehicles. We have previously discussed ADI products in recent articles, but ADI have recently upgraded their website and this is one of their sensational new products. We have added a new search tool to our website. In the upper left hand corner of each page you will see a search box like pictured here. You are welcome to search almost any term related to our site, click the magnifying glass and all articles featuring your search term will be displayed. This will make it substantially easier for you to find the specific information you are seeking. We have confirmed delivery time for the Cowdroy P697 Pocket Door Lock With Key. Our exporter has informed us to expect arrival in USA (pre-customs) on Monday December 13, 2009. Assuming all goes to plan (no more delays), we expect to be able to ship before Christmas. Thanks to all our customers for your patience! Product Has Arrived and Is Available Now. New product has arrived, 20 units in satin chrome. First come first served. $105 + Shipping. This is the Master Truck Bed U-Lock, so designed with SUV pick up truck in mind. 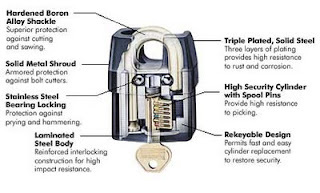 Master Pro Series padlocks are well known throughout the world as one of the finest examples of quality manufacturing. I have personally relied upon them and recommended them for very many years to customers with wide ranging applications. Below is an exploded view of the concealed version. These padlocks are designed with security in mind. Many Master padlocks of this ilk, will withstand the force of a .44 magnum fired at close range. 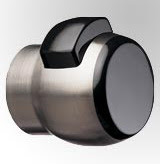 Bilock Extreme Security Products, manufactures cylinders tailored purposely to fit in the Pro Series housings. This means that you can actually have one of the best quality padlocks available, combined with the world's first and oldest 100% bump proof and virtually pick proof pin tumbler system. 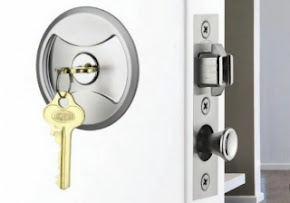 The added benefit of keys that are impossible to be duplicated, combined with the ability to mix and match product brands and hardware functions to enable keying alike, makes your choice of Bilock products with Master or Schlage or Arrow or Sargent or Yale or Corbin-Russwin and others, of unsurpassed value. Finally there is light at the end of the tunnel. Google is to be congratulated for devising a new method to clean up and level the advertising playing field. 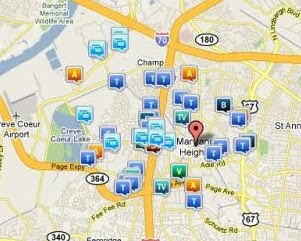 Local search is one of the more important features of online search. Yet in recent years, spammers and fraudsters have penetrated the local search features of Google Maps, by loading their names with keywords (a.k.a. Keyword Stuffing) . The quantity of complaints, and obviously the dwindling advertising revenues, have made the search engine leader wake up and take notice, because they have apparently been working hard behind the scenes to clean up Google Maps, by introducing Business Listing Quality Guidelines. Effectively, these measures will put pave to the rediculous advertising tactics, employed by non-local service providers, who, for many years, have been misleading consumers, by advertising false address locations, postal box addresses, local telephone numbers etc, in attempt to deceive the consumer into believing they are calling a local merchant. 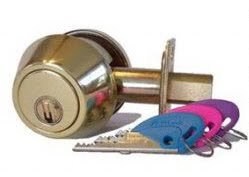 You have seen these tactics used by locksmiths too, for many years (many legitimate companies too). The Yellow Pages directories have previously (and I believe, some still do) printed advertisements by companies that list different telephone numbers, with suburb/city names included, yet those companies are not physically located there. I for one, am glad that Google have taken the time and effort to clean up this messy area of advertising. For many years I have seen the proliferation of businesses, capitalising on these loopholes, to the detriment of legitimate goods and services providers. Yes, some of these new policies may hurt the many legitimate businesses that felt it necessary to participate in the loophole schemes, but this newfound attitude of honesty in advertising will add certain credibility to the search engine leader and those companies that choose to comply. The ethical will survive. The new millennium is upon us. 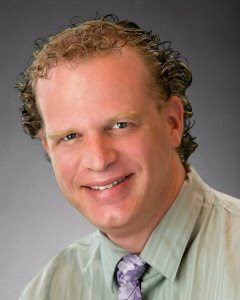 Special thanks to Larry Friburg of Legallocksmiths.com for pointing out this article. Yale, by name, is one of, if not, the most well known name worldwide as a lock and key manufacturer. Linus Yale, Jr. became more involved with his father’s lock company in 1858 after his father's death. In 1851 Yale invented what he referred to as the “Yale Magic Infallible Bank Lock,” for safes and vaults. This design allowed the owner to change its combination and would also allow the key to secure the lock while being hidden away from the exterior of the door by a hardened steel plate, which covered the key-hole behind it. Today, the Yale name is synonomous with one of America's greatest institutions, Yale University, named for the great benefactor and relative Elihu Yale. Yale, as a company has changed significantly in recent years. 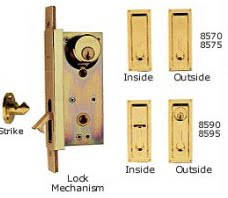 Not as widely known today for their lock manufacturing, they still are involved with locks and locking mechanisms. Many of their lock products today, conform to the modern accepted aesthetic pleasing form and functions. We hope to showcase some of their products in future articles. Pictured above is a modern style of their one-sided deadbolt, manufactured to provide beauty, form, function and reliability. Lockwood Australia, part of the worldwide Assa-Abloy group of companies recently released a stylish new addition to their range of modern entry door hardware. The Nexion range is a sensational and functional product that combines the highly sought after modern keyless functionality, with a key over-ride function, in modern, aesthetically pleasing designs. Using similar technology to automotive rolling code remote control systems, you are assured that your remote can only be programmed by a specialist locksmith service provider. The product is available in double cylinder, single cylinder and safety release models. 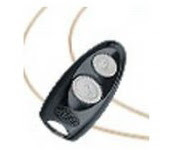 The lockset provides both audible and visual indication of electronic activation. It is designed to retro-fit in place of most standard residential or commercial door applications. Master Key Systems America LLC, proudly announces our BBB accreditation. We have fulfilled the strict requirements of compliance with the policy, organization and rules of the Better Business Bureau. Residents and businesses can be re-assured that we are a pro-active business maintaining the highest ethics and principles in honest business dealings. We welcome any and all checks as to our credibility and encourage all consumers to confirm their chosen service providers are also BBB accreditted. In the great state of Missouri, licensing is not required for many trades including locksmiths. It seems as if the government has adopted a policy of licensing only trades that can affect consumers on a personal (i.e. > bodily) level. Watching advertising practises online, provides many examples of misleading messages. None more-so than the quantity of websites and online advertisements that state "Licensed, Bonded and Insured". How can one be licensed if licensing does not exist? If an advertiser is lying to you in print, how can you trust them for real? Perhaps the consumer doesnt really care whether the tradesperson that answers their query, is licensed or bonded or not? 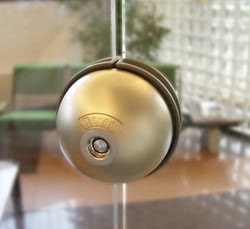 We have 2 only Bilock deadbolts in Polished Brass (Gold) available for the very special price of $72.00 each. This unheard of price will probably never be repeated. EDIT 03/08/2010: All Bilock Prices from now on will be quoted at the Manufacturers Recommended Prices Online (in accordance with Bilock USA's terms). For discounted pricing, please contact us directly by voice or email. The Falcon Automatic Operator is the latest addition to the Falcon range of superior quality door closers and operators. This amazing product follows closely with Falcon's industry leading range of door hardware products. This new addition to the Falcon portfolio of door hardware is the most cost-effective solution in the industry for automating entrances. Designed for the commercial market, the Falcon Operator is ideal for assisted living communities, low traffic store front entrances, or automating interior doors for added assistance. An integrated intelligent power boost graduates additional closing assist when door nears latch. 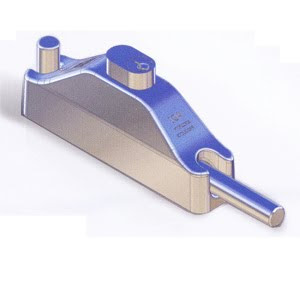 This feature helps to ensure secure closing to overcome external conditions and pressure differentials. The control box demonstrates its intelligence by detecting obstructions and will temporarily reprogram opening degree to avoid abuse to the door. The Falcon Operator comes with an easy to install line of accessories including a wireless transmitter and receiver. 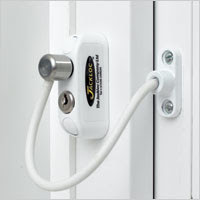 Pictured here is the Baldwin Pocket Door Lock that is available from Baldwin dealers (including us). 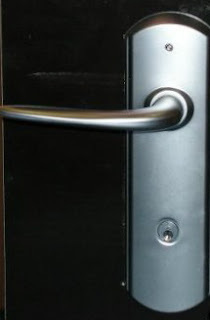 This lock is designed to secure pocket sliding doors with the option of single or double cylinder. This lock can be keyed alike with Schlage branded keys. Installation is quite straightforward as depicted in the second picture. The lock sells for $417.00. Here are the updated crime statistics for the Maryland Heights/Hazelwood localities, as reported by the Maryland Heights and Hazelwood Police Departments, period 11/2/09 - 12/2/09. Paying attention to the number of thefts, it is important to note that many of the reports include theft of services, passing bad checks, credit card fraud. Recent news reports have been misleading, in that the crime rate for the entire St Louis region have been declining. It is true that the types of aggravated assaults and weapons offenses have and are in decline, thanks to excellent police work by city and county police departments. But larceny, property damage, theft from dwellings and break and enterings are seeing a trend upward in quantity. The unemployment rate and cost of living increases, directly affect the crime rates. Securing your homes and possessions is of cardinal importance to protect yourselves and your families and your properties. 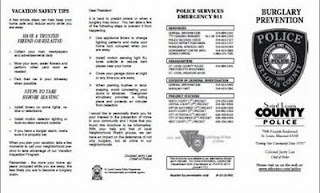 Pictured here is the current St Louis Police Department burglary prevention brochure, it makes available to residents in the St Louis County region. I find this particularly troubling because of the very clear mention there of the recommended use of alarm systems before they suggest you use quality locking devices. Alarm systems never have been nor ever will be crime prevention devices. They cannot be. An alarm can only and will only inform that an event is occurring or has occurred. They cannot protect or prevent a burglary or burglary attempt. 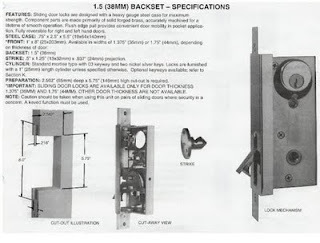 On page 2 of this brochure, they go on to indicate the use of deadbolts, however they illustrate a double cylinder deadbolt. Double cylinder deadbolts are not legal according to the International Building Code that St Louis County adheres and subscribes to. What say you, St Louis Police Department? Do you endorse alarm systems over physical security devices? I suggest "YES", because every monitored alarm system that sounds, whether false or legitimate, the monitoring companies dispatch police officers to attend and therefore the police charge accordingly to the home owner fees for their attendance. It is a money making scheme hatched between alarm system providers and the police department. For the complete brochure, follow the link below. Many companies, hotels, corporations and especially automobile sellers require sophisticated monitoring and tracking of the keys important to their organizations. An easy to use wall mounted system, offering total control and complete management of keys and their use. 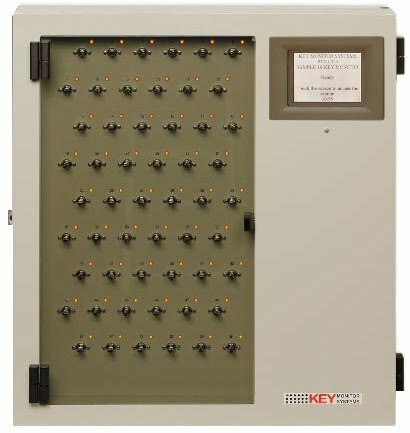 Keys housed in the Key Monitor may only be accessed by authorized personnel after entering their valid means of identification. Only keys programmed as available to a particular user are shown on the Key Monitor touch screen for release, all other keys are electronically held within the cabinet. A virtually unlimited number of users and various access levels may be programmed into the Key Monitor onboard computer. Keys may be individually timed and alarmed, ensuring attention is drawn to keys not removed or returned at a designated time. A complete record of the systems operations is retained in the event log which can be viewed onboard or remotely. Windows are found in almost every dwelling, building or office worldwide. They have increasingly become an important and vital access point requiring security. The Jacklock Company Ltd Window and Door Restrictors are purposely designed from high quality materials to increase the desired security and convenience of all types of windows. 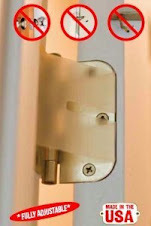 Fashionable and surprisingly inexpensive, it is possible to lock/restrict window openings, like never before. With the increase in crime rates being reported around the USA, since the global financial crisis has affected employment, it has become necessary to secure your properties more than ever. Now you can secure your windows too.